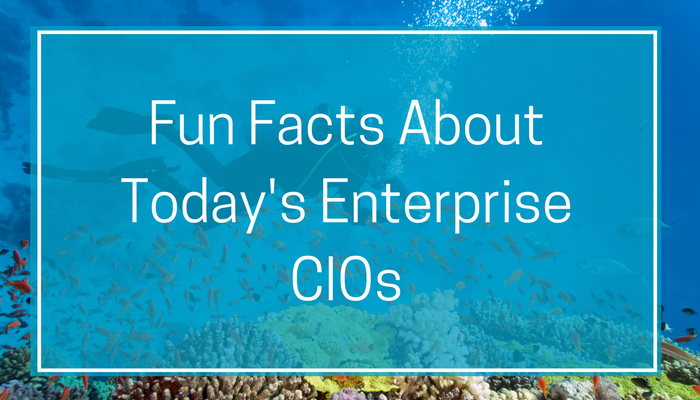 Recently we did a deep dive into the backgrounds of hundreds of enterprise CIOs. If you are familiar with our service, you know that we maintain in-depth profiles of several thousand CIOs. And, while much of our focus tends to be on their business initiatives and challenges, our profiles also contain rich, personal information, such as their hobbies, where they are from, and where they started their careers. What does the enterprise CIO archetype look like? 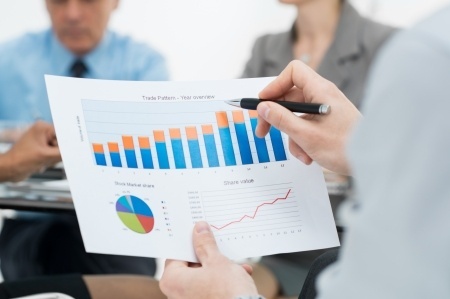 What do enterprise CIOs have most in common? How does the CIO archetype differ from the other C-Level titles we profile in our database? CIOs Tend to have more intellectually-focused interests and hobbies. Well, first of all, our CIO group—in aggregate—looks quite different from other C-Level executives. They’re more cerebral in that they have more intellectually-focused interests and hobbies. They enjoy reading, writing, and speaking on topics such as technology and leadership. They’re more multilingual and globally-focused. And they’re also more altruistic, in that they show a strong interest in volunteering and mentoring. A disappointingly small percentage of CIOs are Women. 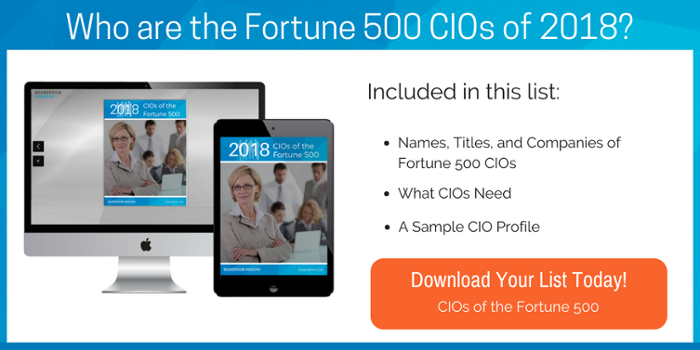 Secondly, our analysis—which looked at nearly 1,000 CIOs in the Fortune 500 and beyond—found that only 16 percent are women. While this is a disappointingly small percentage, consider that in 2017 only 6.4 percent of Fortune 500 CEOs were women, which is itself a new record high. Golf is not their favorite pastime. Third, unlike when we look at other C-Level titles, golf is not the favorite pastime. For enterprise CIOs, travel tops the list of favorite hobbies, followed by running. Golf tied for third with cycling. After that came mentoring and reading, and skiing. CIOs have lived and worked all over the world. Another standout finding is that CIOs are a very international group. They’ve lived and worked all over the world. After the U.S., our sample of nearly 1,000 enterprise CIOs come from Canada, India, South Africa, and the UK. Nearly 6% are multilingual, speaking 25 different languages, in total. After English, top languages are French, Spanish, Italian, German, and Hindi. Many CIOs have been groomed in their early careers by a handful of large organizations. Finally, the CIOs we looked at have been groomed in their early careers by a handful of large organizations, what we have come to call “leadership factories.” These companies include IBM, Accenture, PwC, JPMorgan Chase, and GE Company. Many also cut their teeth in the military and other public sector organizations such as the Secret Service and the FBI. Tony Young is the Global CIO at Sophos Ltd. He is a frequent traveler who has said he dreams of a “transporter”—the fictional teleportation device in Star Trek, of course. He also speaks Chinese. Maya Leibman, EVP and CIO at American Airlines, has visited about 80 countries. Based in Dallas, she volunteers with several local organizations, including the “So SMAART” program, where she works with minority girls, ages 9 to 12, to teach them about technology and life. Stephen Fraser, SVP and CIO at Realogy Corporation, has taken regular trips to India, has spent a lot of time in the UK and Italy—and is hard pressed to pick one favorite place. “It’s hard to pick Rome over Barcelona over London or Paris,” he has said. Fraser is also a mentor and coach at the Society for Information Management and a volunteer mentor at Everwise. He began his career as a Client Leader and Consulting Manager at Accenture. Naveen Zutshi, CIO at Palo Alto Networks, enjoys traveling, reading, sports, and astrophysics. Born in Srinagar, India, his favorite books include "Saturday," Ayn Rand's "Fountainhead," "A Brief History of Time," "2001: A Space Odyssey" and "Blue Ocean Strategy." Luc Hennekens, Airbus Group’s CIO, speaks Dutch, French, Spanish, and Portuguese. He loves mountain biking, triathlons, photography, adventure travel, scuba diving, skiing, golf, and sky-diving. He’s travelled to more than 45 countries and worked in 12. Diane Enberg Jurgens, CTO at BHP Billiton Plc, is a Seattle native but lives and works in Singapore for an Australian company. She speaks Mandarin Chinese and enjoys traveling. Interested in attracting more American women to engineering careers, she mentors engineers. Javier Polit, Procter & Gamble’s CIO, was born in Ecuador but raised in the U.S. He started his career at PwC after earning a Master of International Business Administration from Tiburg University in the Netherlands and a Master of International Management from the Budapest University of Economics and Science. Polit has since conducted business in more than 40 countries in five continents, and speaks French, Portuguese, and Spanish. In his free time, he enjoys cycling, reading, playing the guitar, racing cars, flying Cessna airplanes, riding his horses, and playing chess. Certainly, these are accomplished people but why should you care about all of this—what countries they’ve been to, the fact that they enjoy reading or running? Simple, the more you know—even beyond the essentials of the companies they work for—the better chance you have of making a connection. It could be a connection with you; it could be a connection with an executive sponsor at your own company. If you are meeting at an event, it’s an opportunity to invite that person to go for a run or literally speak a common language. 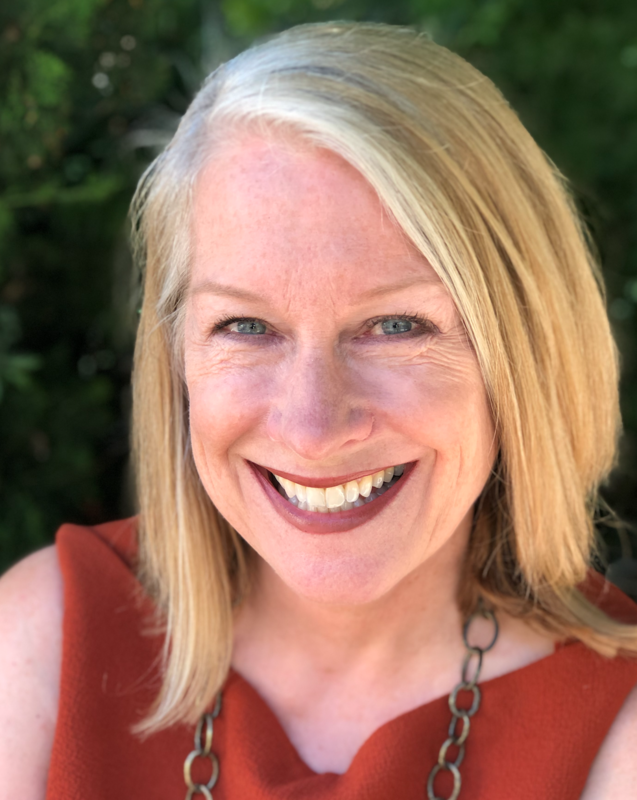 If, like your CIO, your target CIO got her start at Accenture or GE, they have very specific experiences in common—and your CIO may have a better understanding of her approach to business given their common career-forming foundation. And if you’re a recruiter, having this information in hand can be an informational bonanza for placing people in just the right environment or helping your client organization get the best cultural and experiential fit among candidates. It’s this simple: You can’t know too much about the executives with whom you need to connect in order to drive business forward. 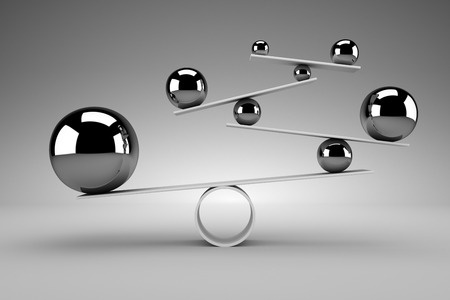 Having deep insight into executive decision makers can be a powerful tool.